Rovin’ ~ Smuggling in Cornwall at Embracing Romance Today! Katherine Bone’s Smuggling in Cornwall! Cornwall and Devon have rich and colorful histories which include Druids, legendaryAvalon, and Roman, Saxon, Norman, and Norse invasions. Think The Last Kingdom, featuring sexay Alexander Dreymon, and Exeter, noted in the dreaded Doomsday Bookand the Duchy of Cornwall. Read more of my post at Embracing Romance! Release Day ~ The Rogue’s Surrender! The men of Nelson’s Tea ARR back and with a vengeance! Time is running out. After Nelson’s untimely death at Trafalgar, Napoleon turns his wrath on Admiral Villeneuve, arranging the doomed man’s death. With no chance of storming England’s shores, Napoleon then focuses on dominating less formidable foes. But several of his sympathizers remain and the damage has been done to Spain and the spies left in harm’s way, in particular, Señorita Mercedes Catalina Vasquez Claremont. Only one man can save her… the man who hates Spaniards, vowing to never set foot in Spain again, Garrick, Viscount Seaton, aka Captain Blade. When I started writing my Nelson’s Tea Series many years ago, I never imagined how these characters would take hold of my imagination and become my heartfelt friends. Along with Garrick, I suffered while writing his book. I went through periods of time when I couldn’t write, fearing for the end of my series just as much as Garrick was haunted by his captivity in Spain. He’s such a tortured soul. And because of all that he’s endured through the books, he needed a heroine strong enough to reach deep into his soul and save him. And so it is that Mercedes’s name did not come by accident. When I discovered that Mercy was the nickname for Mercedes during the Regency period, my heroine was born. I knew it would take a great deal of mercy to heal this broken man. Sayin’ goodbye to those you love is never easy, is it? How odd it is that authors feel so connected to their characters, as if they were flesh and blood. In THE ROGUE’S SURRENDER, you’ll find one near-death experience and several deaths of beloved characters that came at great expense to me. I cried over the book while writing it. But as in life, not everyone can be saved, can they? And as in life, victory comes at great cost. I owe a debt of gratitude to my publisher esKape Press Publishing, Author M.V. Freeman (who graciously brainstormed this entire series with me!) and the Rogues, Rebels & Rakes Street Team for encouraging me every step of the way. I have Lady Jayne Smith to thank for asking for Lord Simon Danbury’s book. That book became the cornerstone of my series, MY LORD ROGUE, A Nelson’s Tea Novella #1. Here Admiral Nelson organizes the group Nelson’s Tea and all twenty of the men in clandestine service to the king are introduced. DUKE BY DAY, ROGUE BY NIGHT, Nelson’s Tea #1, features Percival Avery, Marquess Stanton and the future Duke of Blendingham, as he searches for his sister’s killers, along with some help from Nelson’s Tea. THE ROGUE’S PRIZE, Nelson’s Tea #2, features Captain Henry Guffald’s attempt to redeem his naval career. His mission is to rescue Lord Garrick Seaton from Spain, but he’s attacked by a female pirate with an agenda of her own. MY LADY ROGUE, A Nelson’s Tea Novella #2, was equally hard to write as the members of Nelson’s Tea learn that Admiral Nelson has been killed at Trafalgar. As they convene to vote on the future of the group, a mole is activated, endangering their lives. And now it’s my delightful pleasure to give you, THE ROGUE’S SURRENDER, Nelson’s Tea Book #3! Have you read any of the books in my series? Tell me who your FAVorite character is and why. You could win a free ecopy of THE ROGUE’S SURRENDER! Contest ends July 16th! Book Cover Reveal! ~ The Rogue’s Surrender! Ahoy, me hearties! I’ve been waiting sooo long for this but now, after handing in the finished book, I can formally reveal the cover for The Rogue’s Surrender, Nelson’s Tea Book #3!!! Huzzah and Hoorah!!! For those of you who don’t know my books, I’ll give you a little trip down memory lane. Marked for death! Lady Mercedes Vasquez de la Claremont has been betrayed by a member of Nelson’s Tea. Now her life is in the hands of the man she couldn’t save, a beast forged by Spanish hatred. Readers, this is the book you’ve all been waitin’ for! Garrick is finally getting his revenge AND he’s undergoing a dangerous mission that will test how far he’s willing to go to live again. Half-blind, battling intense demons, nothing he’s ever experienced prepares him for Mercy. Oh yes! The gang is all back!!! Percy, Simon, Henry, and all the members of Nelson’s Tea, including four of Garrick’s brothers, Constance, Gillian, and Adele! I’ve struggled with this book. Growin’ up a military brat, I was forced to say goodbye to one too many friends, one of the particular drawbacks of livin’ a nomad life. Writing The Rogue’s Surrender seemed like one long goodbye to characters who’ve been with me night and day since Percival Avery waved his quizzing glass at me in 2007. But I’ve learned something during this process too. No series has to end… not really. Yes! (Cue my piratical brain!) I have found a way to link Nelson’s Tea to two more series, perhaps three!!! So break out the rum, me hearties! The fun has only just begun! I’ve handed the book in to my editor, the brilliant Kim Bowman at esKape Press Publishing and as soon as I hear when you can expect it to be up for preorder or get a release date, I’ll be making that BIG announcement too! Until then… I wish you fair winds! Remember anything is possible when you take the ‘im’ out of impossible and turn it into I’m possible!!! Once Upon a True Love’s Kiss Valentine’s Day Hop & Book Endings! Lots going on aboard ship, me hearties! The best news and one of the reasons I’ve been absent? I finished The Rogue’s Surrender, Nelson’s Tea Book #3! Yes!!! I can now announce Garrick’s story is finally done! One more pass and I’ll be sending this baby to my editor. Huzzah and Hoorah!!! Why has it taken so long to get this book written? Good question. I know a lot of my readers have been patiently, or maybe not so patiently, waiting for this book and I apologize profusely for the delay. This was my first published series, with so many loose ends to connect, and I also had a severe case of not wanting to let my characters go. They’ve been such a boon to me and have taken me on a wild ride. It’s been tearing me apart to say goodbye to them. I think that’s what I’ve struggled with the most. Live and learn. Of course, I wanted to write Garrick’s book. He deserves a happily ever after! Of all my characters, he’s the most damaged however. And it’s taken quite the heroine to match him. Sadly, that woman didn’t speak to me for a very long time. That is until now… Oh, I do believe you’ll find Mercedes Catalina Vasquez de la Claremont quite capable of taking on Captain Blade. Woot! I cannot wait to bring this epic, heart-thumping story of swashbuckling adventure and romance to you, dear readers! And the absolute best thing EVAH? All of the Nelson’s Tea characters are in this book! Stay tuned… Once I do send this book off, I’ll be doing a FABulous cover reveal for The Rogue’s Surrender! This book, packing over 350 pages of epic goodness, is one wild ride from San Sebastian, Spain, to epic sea battles and escapes, to London, and a ball to rival all balls! Happy New Year, Me Hearties! Wishing all of me crew a very Happy New Year! 2016 is here! A new year is a blank slate waiting for all of us to fill with adventure and fun. For me, that means getting a new calendar and beginning to plan out my writing year. Good news!!! Release Day is only 3 days away! Huzzah and Hoorah!!! I can’t wait to hear what readers think about The Pirate’s Duchess, the first book in my new Regent’s Revenge Series! To help celebrate, here’s a wonderful New Year’s meme from Once Upon a True Love’s Kiss! What better way to ring in the New Year than with true love’s kiss, eh? Cap’n’s ready to send out a FANtastic newsletter too. If you haven’t joined, now’s the time. In honor of Once Upon a True Love’s Kiss release, I’m giving away a $50 Amazon Gift Card to one lucky person on my Rogues, Rebels & Rakes newsletter list. All you have to do is be a member for a chance to win. Woot! Until next time, I wish ye fair winds and a very Happy New Year! My Tantalizing Kiss Meme for Once Upon a True Love’s Kiss! Release day for Once Upon a True Love’s Kiss is almost here and the excitement level is rampin’ up on board ship. It’s almost time to give the order to unfurl the sails! But before I give the order, it’s Cap’n’s turn to post a kissing meme, featuring Tobias and Prudence from Once Upon a True Love’s Kiss as part of our Kiss Blitz. Release Day! Jack Interviews Swashbuckling Author of Honor Among Thieves ~ J.M. AUCOIN! 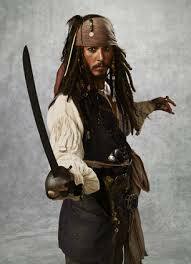 Captain Jack Sparrow knows the importance of honing swashbucklin’ skills. Livin’ off the seas isn’t easy after all. There ARR plenty of obstacles in a pirate’s path. Marooning, keelhauling, undead monkeys, curses, the Kraken, Davy Jones’ Locker, and greedy pirates pillagin’ and plunderin’ their weasely guts out ARR problematic. So if more swashbuckle be needed, who you gonna call? Holy Nassau Cannon Ballz! I can finally access my blog!!! Yes, it’s true. I’ve been locked out of my account for almost three months. Hard to believe, but this has been a PITA. Anyhoo, pardon my absence, me hearties! Rest assured, I’m back to cause more shenanigans. Heehee!!! So much has happened since the beginning of the new year and I’ve got a load to catch up on.